Some pretty cool writers I follow are writing month-end reviews and goals. It’s a great idea. I might make a practice of it, too. Certainly last month was great and this month is exciting, so I’m going to try it out today. I released my first story,The Stone and the Song, on Amazon. Lots of work, but a smashing success! Released 2 more sections of The Dream World Collective. Launched my mailing list and got 2-3x industry average open and click rates. Because my people are awesome. Sign up here for friendly notes and mysterious missions. Wrote more of The Unaccountable Death of Derelict Frobisher. Uncharacteristically, I’m not sure how much. Recorded about half of the audiobook version of The Stone and the Song. 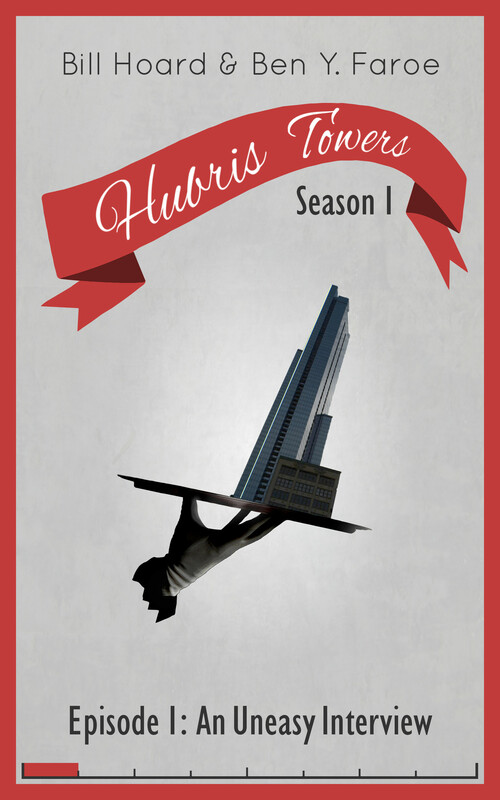 Established rough concept for Hubris Towers, an upcoming serial fiction collaboration, with Bill. Wrote a blog post every week day. Write a blog post every week day. Oh, man. This is such an exciting time! Let me know in comments or at byfaroe at gmail dot com if you’re interested in beta reading, collaborating, or chatting about the art and business of writing. I love this stuff and I love finding other writers who are serious about making it a career and/or lifestyle. Great goals. I like the whole process of laying out monthly accomplishments and setting new goals. Keeps you accountable and motivated! Good luck! Thanks, Amanda! I agree. There’s definitely something about laying out concrete goals that makes it much more exciting to track your progress toward them, and therefore to make progress toward them. It seems like you accomplished a lot in February! I really like how you break out your March goals into minimums, targets, and stretch goals. I might have to give that a try, myself! And again, thanks for the shout out! I appreciate it. Yeah, I find it helps me to have something that’s pretty easily attainable, but it also helps me to have something really exciting and impressive to push for.